A lightning strike injured four people Wednesday at the Acropolis in Athens, the ambulance service said. The bolt hit two tourists and two Greeks working at a ticket booth at the site, said an ambulance service official. The two tourists, a Korean man and a Scandinavian woman, both under 30, suffered light injuries and would be able to leave hospital after checks, the official added. 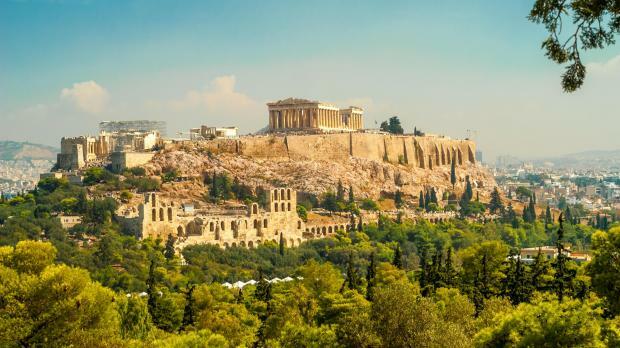 The Acropolis iself suffered no damage, a culture minister spokeswoman told AFP. Sitting in the historic centre of Athens, the Temple of Parthenon on the rock of the Acropolis dates back to the classical period of antiquity - the 5th century Before Christ. It is one of the most-visited tourist sites in the world. Athens has been been hit by several violent storms in recent days.